Wiström, was awarded for his great work at ÅF. 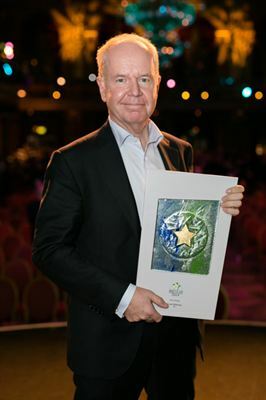 CEO of the Year is an event to emphasize great leadership in Sweden. The initiative comes from Motivation.se and Executive People. For the third year in a row they have collected names of great CEO’s in Sweden and Jonas Wiström was awarded as CEO of the Year 2014, in the category ‘large companies’. from the employees, the CEO of the Year has transformed the company to rank in the top among the Nordic peers with a doubled profit during the last five years. Not only does he work in a commendable manner to increase the number of female employees in a male dominated industry, he also has a strong focus on social and environmental sustainability. Jonas, how does it feel to be CEO of the Year? It feels great! This is a recognition for the success of the entire ÅF, where so many have contributed during many years, naturally including the strong management team of ÅF! What key factors have led to your success as a leader? I hope and think that I have succeeded to recruit and retain a fairly heterogeneous group of high performing individuals who enjoy working together. I listen to my colleagues and learn from good examples.